Cybershield can mold, metallized and assemble plastic components and systems to your requirements. We can injection mold the plastic part or can team with your injection molding vendor to supply you with finished, metallized plastic component or assembly to your specification. Cybershield serves leading customer in a wide range of industries, including connectors, military & defense electronic equipment, medical devices, telecommunications equipment, industrial equipment, waveguide & antenna systems, computer peripheral equipment, automotive electronics and hardware, and consumer electronics. Cybershield offers military contractors with capabilities to finish plated plastic as well as metal parts with Mil Spec Finishes, including CARC coating. Cybershield has large capacity electroless and electroplating lines with capability of plating quantities from a few prototypes for customer evaluation and small volume requirements to plating millions of parts per month. We also have 8 paint robots capable of applying plating catalyst, conductive paint, decorative paint and military specification finishes on millions of parts per month. We complement the paint robots with highly trained manual paint applicators to support prototype and lower volume projects. All-Over Electroless Plating Initial electroless copper layer, typical thickness 40 micro-inches (1.0 µm) to 400 micro-inches (10 µm) Finish with electroless nickel, typical thickness 10 micro-inches (0.25 µm) to 100 micro-inches (2.5 µm), immersion tin with thickness up to 80 micro-inches (2.0 µm) or immersion gold over electroless nickel with nominal immersion gold thickness of 4 micro-inches (0.1 µm). Electroless plating deposits uniform thickness layer and is not subject to line-of-sight constraints. All-Over Electroplating After initial electroless copper plating layer is applied, we can electroplate thicker metal layers and/or apply decorative nickel and chrome plating. Electroplating thicknesses range from 80 micro-inches (2.0 µm) to 0.003” (75 µm) for copper, bright or matte nickel. We can also apply bright or satin decorative chrome plating onto plastic parts. Other metals that can be electroplated over initial electroless copper plated plastic part include silver and tin. Electroplating require contacting the part using spring clip, which will leave visible rack mark. Rack location can be tailored to meet customer requirements. Electroplating offers faster deposition than electroless plating but is subject to line-of-sight constraints and wider variation in plating thickness. Selective Plating Catalyst Plating catalyst can be sprayed onto surfaces of part to be plated. Electroless copper then deposits onto the catalyzed areas of the part. The part can be finished with electroless nickel, immersion gold or immersion tin. 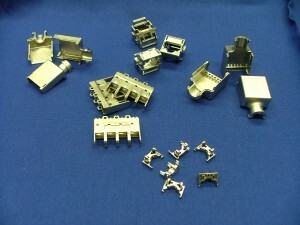 Electroplating selectively plated parts is not feasible. 2-Shot Molded Part Mold 2-shot plastic part with one shot being a plateable resin and the other shot being a non-plateable resin. The plateable resin in the 2-shot molded part is plated using normal electroless plating processes and materials. The mold tool must be specially designed for the 2-shot molding process and the both plastic resins selected must have compatible molding parameters. Plating Resist Plating resist to mask defined areas of part can be used to produce complex masking patterns that are not feasible or cost effective with alternative processes. The plating resist is applied onto the required areas by dispensing or spraying, followed by UV cure to harden the resist. The part is subject to conventional electroless plating to apply initial copper plating. The resist can then be removed from the part. 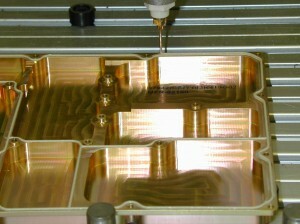 Subsequent electroless or electroplating can be used to finish the part to the final requirements. 5-sided box or cup design that can trap air and drag out plating chemicals, impacting plating quality and cost. Include drain holes or design part to prevent entrapment of air or plating solution. Tight crevices that can trap plating solution. Eliminate crevices in the design or include drain hole. Small blind holes with aspect ratio > 5:1. Small holes can trap plating solution that later weeps out and can damage the plating. Utilize through-holes if possible. Note that blind holes can be plugged to prevent plating solution entrapment, but this operation adds cost. Another issue includes inserts, which can be molded into the part or installed by heat staking or ultrasonic insertion prior to or after plating. If specifying 100 micro-inches (2.5 µm), inserts should be installed prior to plating and masked during the plating operation with a plug or screw to prevent plating on the threads. Standard boss and insert design guidelines should be followed for plated plastic parts with inserts, and brass inserts are compatible with electroless and electroplating plating processes. Conventional finishing operations such gasket installation for environmental or EMI/RFI seal, decorative paint, and part labeling can be used to finish the plated plastic part to final OEM specifications. Material selection for gaskets, decorative paint and label ink are determined by the final plating metal layer on the part. Conductive Paint Conductive paints are comprised of micron sized metal particles of graphite, nickel, copper, silver plated copper or silver blended into water or solvent based paint system. Similar to selective plating process, the part is masked to control the location of the conductive paint that is sprayed onto the required areas of the part. The fully cured conductive paint thickness ranges from 0.0005” (0.0125 mm) to 0.002” (0.05 mm) depending on the paint type and requirement. 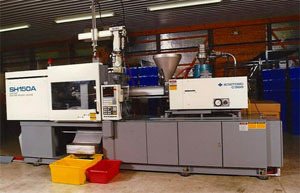 The paint can be applied in a manual paint booth where an operator applies the paint with a paint gun or with a paint robot. Paintable plastics include most grades of ABS, PC/ABS, PC, PPO (Noryl), PEI (Ultem) PPA/PA/Nylon, Polybutylene terephthalate (PBT), and Polystyrene. More difficult to paint resins such as LCP, Polypropylene, PVC, Polyimide, PEEK may require adhesion promoter primer. Being non-conductive, plastic components do not shield electromagnetic interference (EMI) from being emitted from electronic equipment, or from penetrating and interfering with its operation. Many electronic systems built with plastic components require shielding to meet regulations and ensure reliable device performance. Conductive coatings essentially consume no volume inside an electronic device and, if applied properly, can assist the design engineer in meeting ever-shrinking cost budgets. Conductive coatings, first applied in electronic devices over 20 years ago, have demonstrated reliable and cost effective performance in laptop computers, cellular handsets, telecom switchgear, medical devices, military electronics, industrial equipment and a host of other electronic systems that utilize injection-molded plastic enclosures. Determining shielding requirements and potential conductive coating systems. Designing for EMI shielding is best done up front, early in the product design cycle. 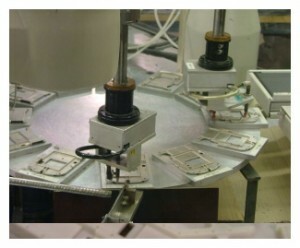 Designing the electronics, the plastic enclosure and EMI shielding system simultaneously as opposed to sequentially can reduce the time-to-market as well as production cost. The basic EMI shielding principal, also known as the Faraday Cage Principal, is well understood; however, applying the principal to electronic equipment design can present challenges to engineers. 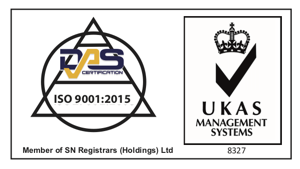 Ultimately, compliance to regulations as well as performance in the end use environment needs to be confirmed with fully assembled systems being subjected to EMI testing in a lab. A few guidelines for EMI shielding coatings can assist the engineer in specifying a coating that will meet the requirements. EMI can be divided into two broad categories, magnetic and electric. Magnetic interference is generally viewed as less than 30 MHz frequency, while electric interference is 30 MHz and above. To shield longer wavelength magnetic interference, thicker coatings that include magnetic materials such as nickel are preferred. For electric interference, thin conductive coatings comprised of copper or silver typically perform best. In many cases, the conductive metal thickness can be as thin as 1 micron for applications with frequency >30 MHz. EMI shielding offered by either plating or conductive paint can assist design engineers meet design challenges. See the Shielding Effectiveness Table for shielding effectiveness of plastic metallization systems. Dispensed conductive gasket offer EMI shielding of plated or conductive painted plastic components as well as metal components. Conductive gasket materials are comprised of silicone and filled with particles of conductive material, including nickel plated graphite, silver plated aluminum, nickel or copper. Gasket dimensions range from 0.015” (0.4 mm) height and 0.020” (0.5 mm) width to 0.055” (1.4 mm) height and 0.075” (1.9 mm) width.